There’s that special something in the air letting us know, Fall is right around the corner and Winter is coming right after! We’re ready to feel the temperatures drop and the indoors get extra cozy! 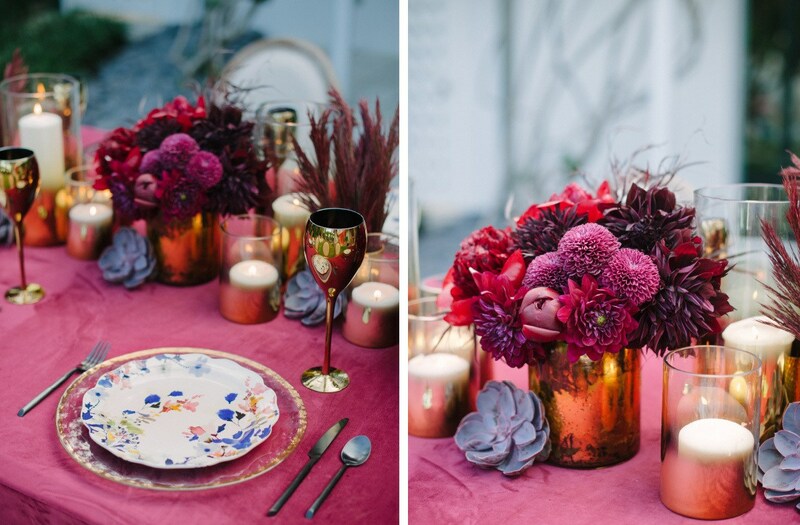 To be honest, we love this time of year when it comes to designing weddings and events! season. Last winter we were all about Marsala, this year we are going the whole assortment of colors! For those looking to lighten up, we found the perfect shade of Turquoise for the fall. It’s deep enough to sparkle like an Aquamarine and bright enough to warm us up too! 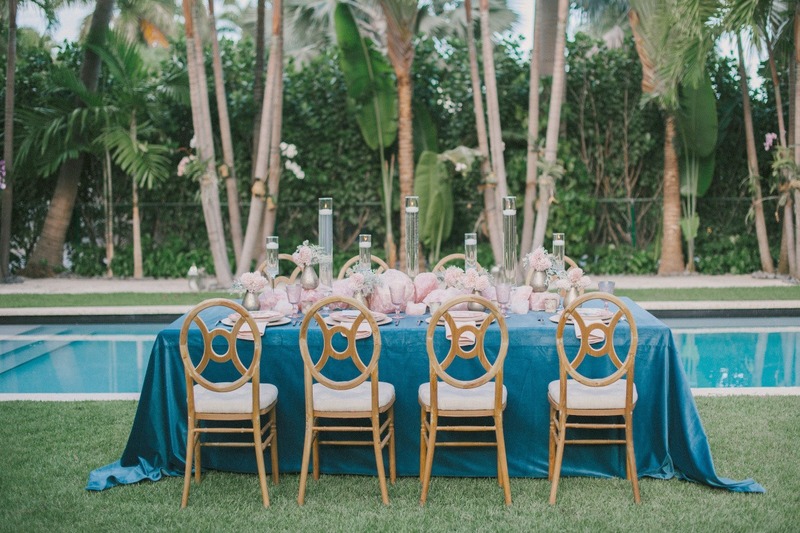 Paired with our natural wood Verona Chairs, the Turquoise Velluto has a rustic sensibility to it perfect for an outdoor fall wedding. 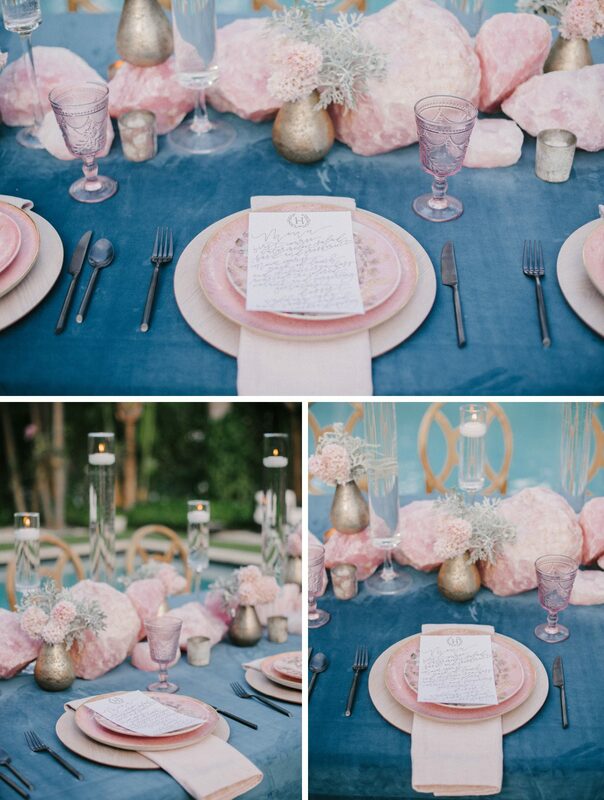 Give it even more of a boho bride style by adding in pretty pink accents like these raw crystals. With floating candles and the softest touch of blush blooms, the Velluto fabric sets a perfect canvas for this design. Just like this setting, it’s a great way to bring cool fall feels to a tropical setting! Now, for those looking to go all in on fall colors, we love a deep Ruby red like our Wine Velluto. 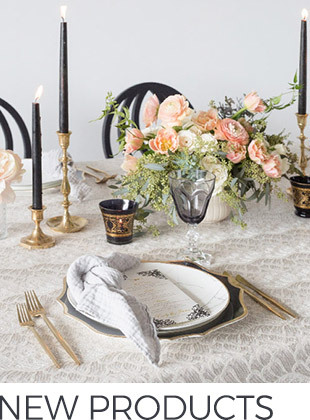 It sets the mood for a lively holiday feast or a romantic wedding reception. 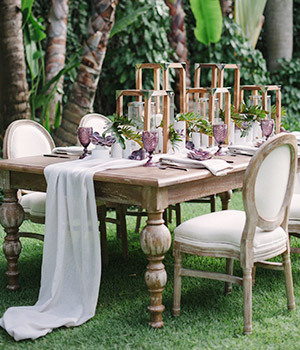 atmosphere for dinner guests, especially when set against beautiful blooming Bougainvillea! 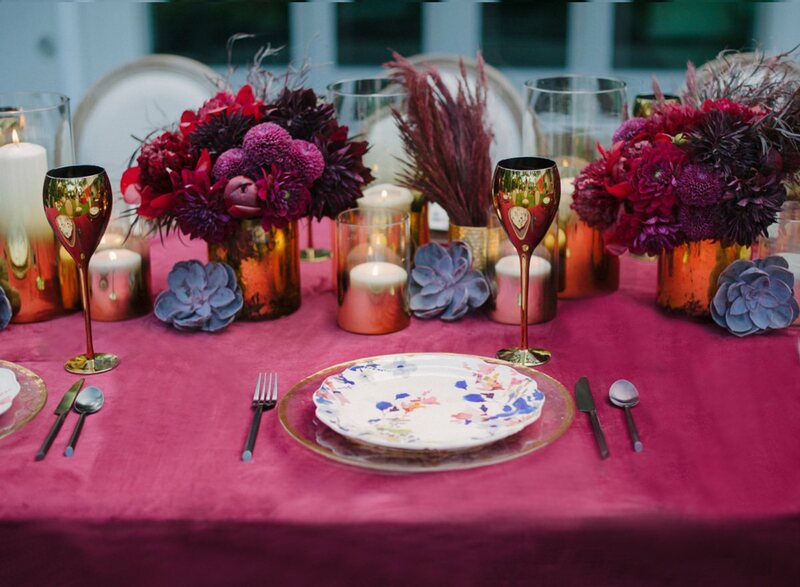 Bring in more of those gorgeous jewel tones in purples and oranges across the tabletop and use copper toned accents to tie the look together! 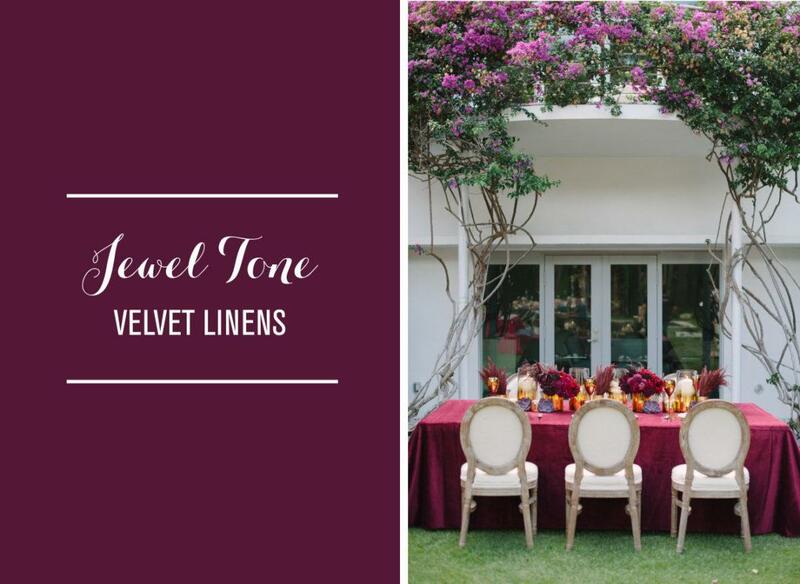 So whatever your event is this season, bring in those fall feelings with an array of gemstone-hued linens in soft velvet-inspired fabrics to really amp up the party. Trust us, we know how to host a good one! This entry was posted in New Products, Nuage Inspiration, Styled Photoshoots. Bookmark the permalink. A Bridesmaids Brunch for the Modern Bride!